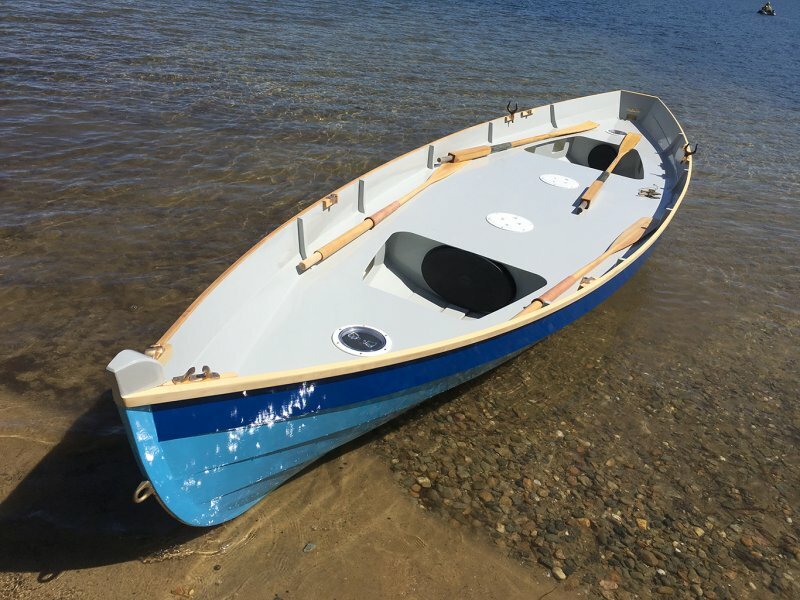 The Sinne 610 is an expedition rowing boat designed by Ruud Van Veelen and built by Walter Baron of Old Wharf Dory Co. This is the second boat built to these lines, and the first in North America. It is fully decked, with lots of covered storage. There are 2 cockpits for the rowers, and a flat midship surface suitable for a tent for 2 people. The aft cockpit has 2 sets of oarlocks so the boat can be rowed by pulling the oars, or by pushing. Speeds of 4 knots were attained during sea trials, and a speed of 3-3 1/2 knots is easily maintained. the owner lives in Toronto, Canada, and plans a trip down the Erie Canal.